Shudh Shilajeet, Trifla, Bala, Mulethi, Patol patra, Dashmool, Giloy, Kakoli, Shir kakoli, Gomutra, Meda, Maha Meda, Vidari, Shir vidari, Shatavar, Swet Jeerak, Krishna Jeerak, Gorakhmundi, Shalparni, Rasna, Pushkarmool, Chitrakmool, Dantimool, Gajpippal, Inderjao, Chavya, Nagarmotha, Kutki, Kalimirch, Saunth, Pippal, Talispatra, Shakkar, Honey, Chotti Elaichi. Triphala, Trikatu, Chitrak, Suvarnamakshik Bhasma, Loha Bhasma, Shuddha Shilajeet, Vidanga, Ashwagandha, Yashtimadhu, Shatavari, Vidarikanda, Roupya Bhasma, Vanga Bhasma, Chyavanprashavaleha base. It acts as immunomodulator and Nervine tonic for all age groups. 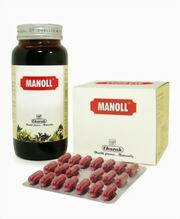 It helps to treat anemia, convalescence, general debility. It improves vigour and vitality. 1 Teaspoon to be taken twice daily with milk. Main Ingredients: Maricham, Pippali, Shunti, Thaleesapatra, Chavya, Ela. 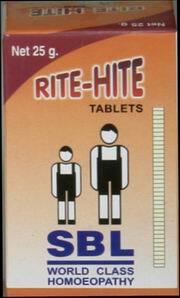 Indications: It is used in the treatment of anaemia, heart diseases, sinusitis, catarrh, sore throat, cough and asthma. Dosage: 5-10 Grams twice a day with water after meals.